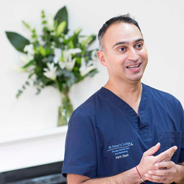 We receive a great deal of enquiries about teeth whitening from people all over St Albans and Hertfordshire – and with good reason. 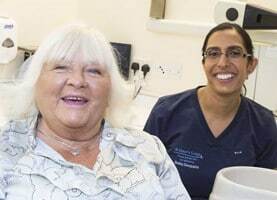 This increasingly popular treatment can offer extremely good results in a relatively short space of time and our patients frequently tell us how much more confident they feel when the treatment is complete. It’s a simple fact of life that everyone’s teeth tend to get darker as we grow older. Of course, the natural process of whiteness loss can be accelerated by drinking, tea, coffee or cola, as well as by smoking or eating many types of foods. Brushing or polishing is essential for good oral health, but won’t be enough to prevent the darkening of your teeth over time. But teeth whitening certainly can make a big difference. 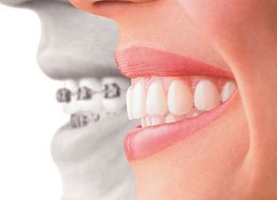 Teeth whitening is a process where the tooth discolouration is ‘whitened’ to a lighter shade. It removes staining and discolouration through the use of safe chemical agents. It is a risk-free procedure when carried out under professional supervision – teeth whitening doesn’t involve any drilling and you won’t even need an anaesthetic. You can also rest assured that teeth whitening does not harm or weaken your teeth in any way. 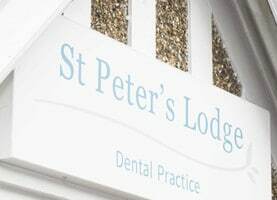 When you come to see us here at our St Alban’s practice we’ll carefully examine your teeth before recommending a teeth whitening method which will be right for you. This examination will establish the nature and cause of your tooth discolouration. We’ll then talk through the various types of whitening procedures available, making sure you know just what’s involved and how long your course of treatment will take. Our patients often tell us how pleased they are by the natural-looking whiteness of their teeth. The degree of whiteness achieved usually depends on how severe the discolouration was in the first place. We can whiten both live teeth and teeth which have had their roots removed, though several visits may be needed to achieve the results you’re looking for. One more thing: you should be aware that teeth whitening won’t work on dental restorations such as amalgam fillings, metal or porcelain crowns… just teeth!